Lucy was getting ready in her room one morning. 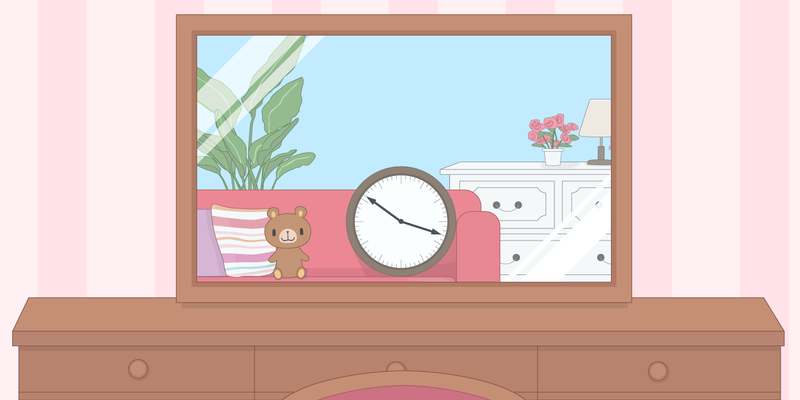 Looking at the mirror, she saw that her clock fell off the wall and made a good landing on the sofa. The picture shows what she saw at the moment. 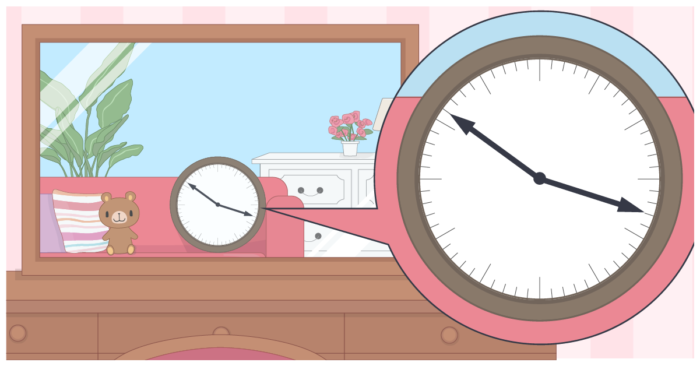 Her clock did not have any numbers on its face and its hands were the same size. <Hint> Which one is the big hand, and which one is the little hand?